It is that time of year again and while the Christmas decorations are going up, the temperature continues to come down. While many are beginning to listen to the sounds of Christmas through music, it is important that you protect your investment in your irrigation system. The last thing that you’ll want to have to deal with in the spring is a sprinkler system gone bad. However, time and time again we see the heartache and pain involved for many individuals that do not properly have their sprinkler systems winterized. It does not take a lot of water for a pipe in a sprinkler system to burst. 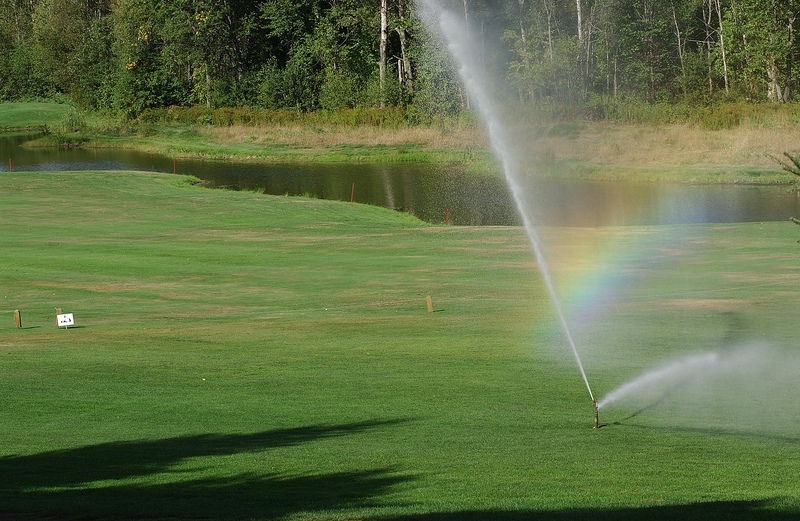 While the water that flows through those pipes is what helps provide life for the green grass and vegetation that is enjoyed all spring and summer, it will literally be the death of an irrigation system in the winter. Water molecules expand when upon freezing. With that expansion, pipe walls are pushed out and eventually burst. Therefore it is important that water is cleared from the lines, and there is not an opportunity for water to continue through the lines in the winter. Hutcheson Horticultural Company is proud to offer winterization of irrigation systems to our many residential and commercial clients. We make sure that the lines in the system are drained and we shut off the pipes. In shutting off the pipes we help to ensure that a system won’t have water accidently turned on and flowing in the coldest months of the year. Contact Hutcheson Horticultural Company today for your hassle free, quick, and easy winterization.